Today on the Jewish holy day of Yom Kippur, the Nordic Resistance Movement (NRM) a Swedish neo-Nazi group, is set to march in Gothenburg. Dubbed “Revolt against the traitors”, the march aims to protest Sweden’s acceptance of refugees, which peaked in 2015 when 160,000 crossed the border fleeing Syria, Iraq, and Afghanistan among others. Initially planned to pass a synagogue, a court ruling has rerouted the demonstration amidst an outcry by concerned local faith leaders. Existing on the political fringe for decades, the NRM has capitalised on the far-right Sweden Democratic Party’s 49-seat-grip out of the national legislature’s 349 seats. 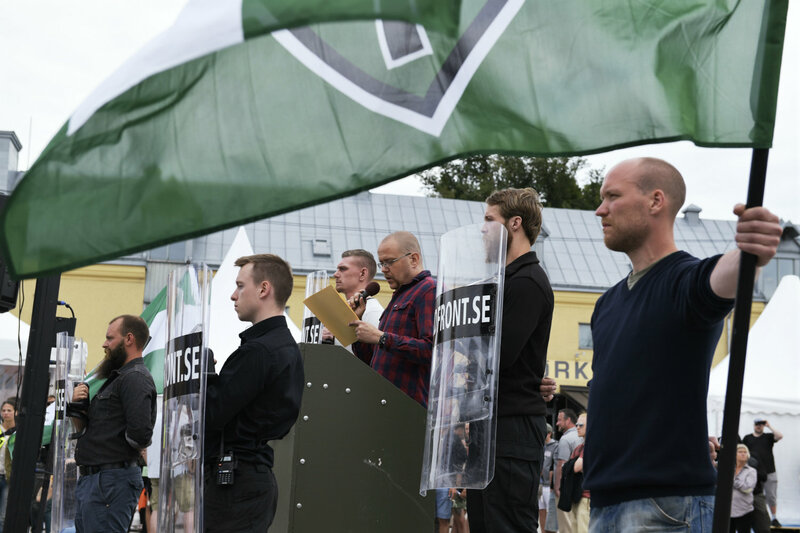 Energised by the wave of populist discontent towards immigration, economic hardship, and terrorism, Scandinavia has witnessed the growth of far-right movements. Facing tougher asylum laws and anti-migrant sentiment, over 4000 refugees withdrew their applications to the historically progressive and socially liberal Sweden. This has been largely replicated in the US as the recent white supremacist protests in Charlottesville demonstrate. Still reeling from the Stockholm truck attack in April, and with 40% of the public seriously concerned about immigration, Swedish leaders like those in other Scandinavian countries, are adapting to this new reality.